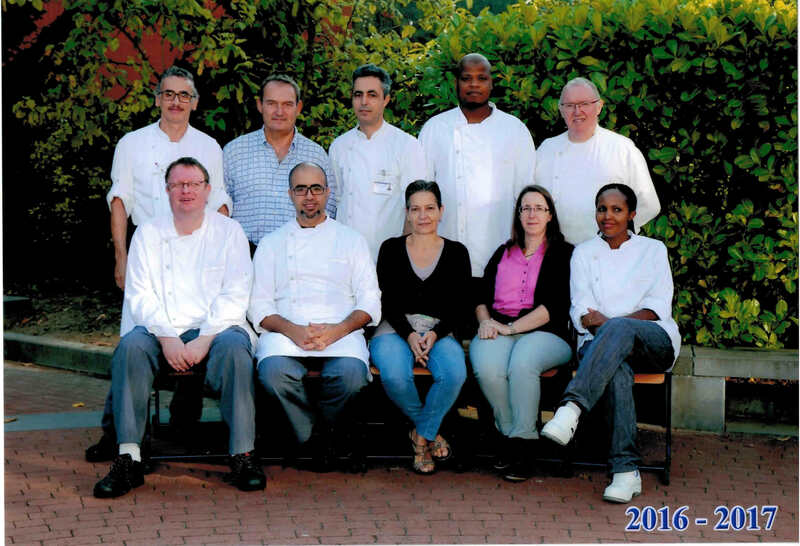 October 2016: Zakharia, Didier, Mohamed, Barry, Pascal and Jean-François, Youssef, Anna, Nathalie, Fifi. A team of 5 chefs cook every day 95% of the preparations. No dish is provided by an external company. A "HOMEMADE" label, present on a menu, indicates that the meal is enterely prepared in the kitchen, from basic ingredients.